This hotel is situated on the Trans-Canada Highway and is within a 5-minute drive of the Portage Golf Club and the Splash Island Water Park. With multiple on-site recreation, entertainment and dining options, this property is well suited for guests who prefer to access amenities within the hotel. This hotel is 100% smoke-free and all rooms include free Wi-Fi, a mini-fridge, a coffeemaker, a hair dryer, and iron and ironing board, a TV with pay-per-view movies and individual climate control. Rooms are furnished with two queen beds, one queen bed and a sofa bed or two queen beds. Suites at this property also include a separate sitting area, a sofa bed and a microwave. Select suites also include a jetted tub and a dining area. Suites are furnished with one queen bed or one king bed. The on-site AALTOS Garden Cafe serves breakfast, lunch and dinner. 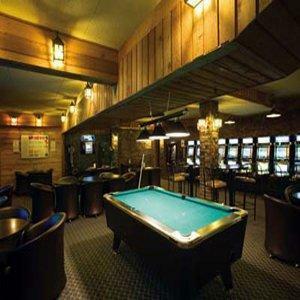 This property also has a pub, gaming lounge and beer store on site. On-site recreational facilities include an indoor pool, a kiddie pool, a waterslide, a hot tub and a fitness centre. 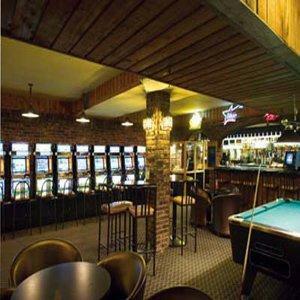 Other on-site amenities include banquet and conference space and an ATM. Verified by a front desk agent on January 18, 2013: Free Wi-Fi is available in guest rooms. Pets are not permitted. There were few recent reviews available for this analysis and among those reviews, guests described mixed experiences at this hotel. Some guests described their rooms as clean and a couple of reviewers agreed that their rooms were quiet. A few guests found the lobby and common areas to be well-appointed. 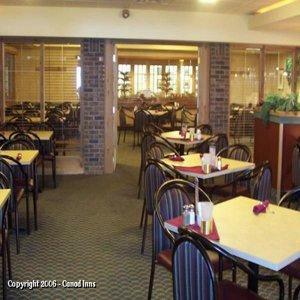 A couple of reviewers praised the food at the on-site restaurant. 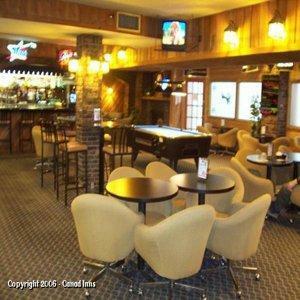 The staff were described as friendly and professional by a couple of reviewers. However, a few other guests described negative interactions with some of the front desk agents. There were several concerns and complaints found, among the limited number of recent reviews available for this hotel. While some of the complaints seemed to result from isolated incidents, others were shared by a few guests. A couple of guests described their room interiors as dated and one reviewer thought that the room rates were too expensive for the quality of the accommodations. One reviewer described smelling cigarette smoke in her non-smoking room, while another guest noticed an unpleasant odour in the halls. A couple of reviewers complained that some of the wait staff at the on-site tavern were inattentive. A few other guests complained about their interactions with front desk agents. These guests described the staff as unhelpful and "snobby". 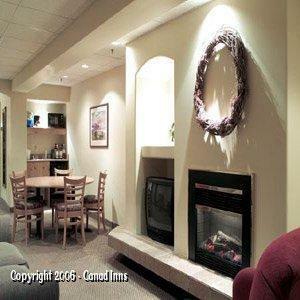 Expedia.ca gave this hotel an average score of 3.3 out of 5, with 75% of 4 guests recommending the property. 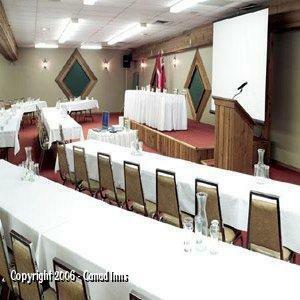 TripAdvisor.ca ranked this hotel #4 out of 6 properties in Portage La Prairie, with an average score of 3 out of 5, from 16 reviews. The author called the hotel on January 18, 2013 to verify some information. 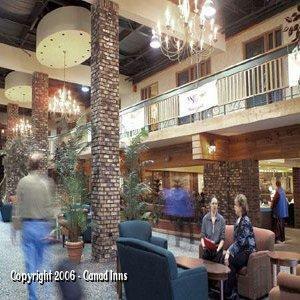 The average guest rating for Canad Inns Portage la Prairie is 6.0 out of 10 based on 99 reviews from past guests. 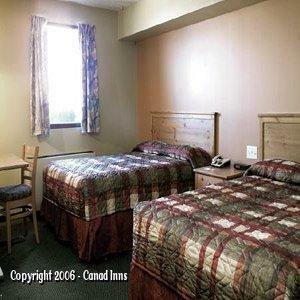 This average guest rating ranks Canad Inns Portage la Prairie at #2 out of 3 hotels in Portage La Prairie.